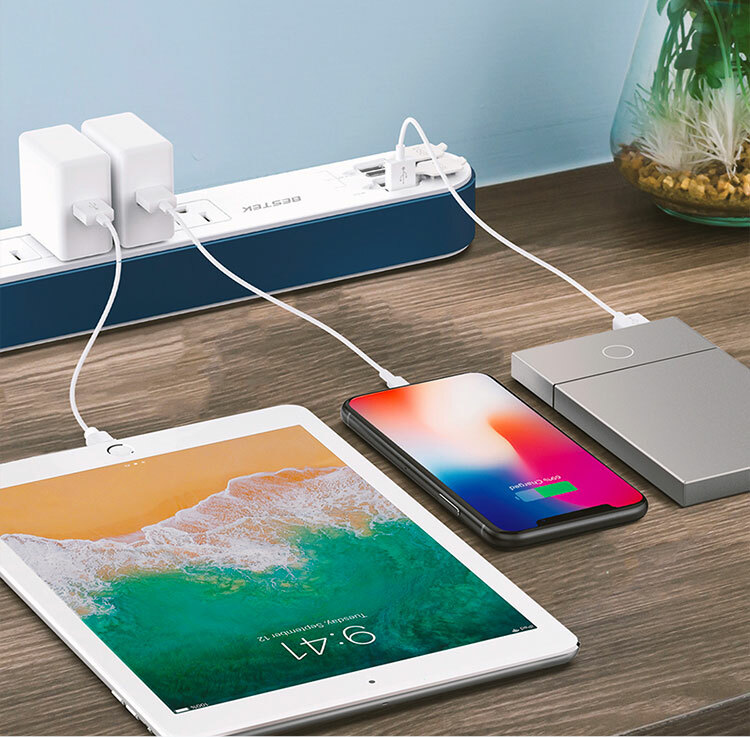 6-outlet is equipped with QC USB charging and smart IC technology, provides you the fastest and safest power for your devices at home or office simultaneously. 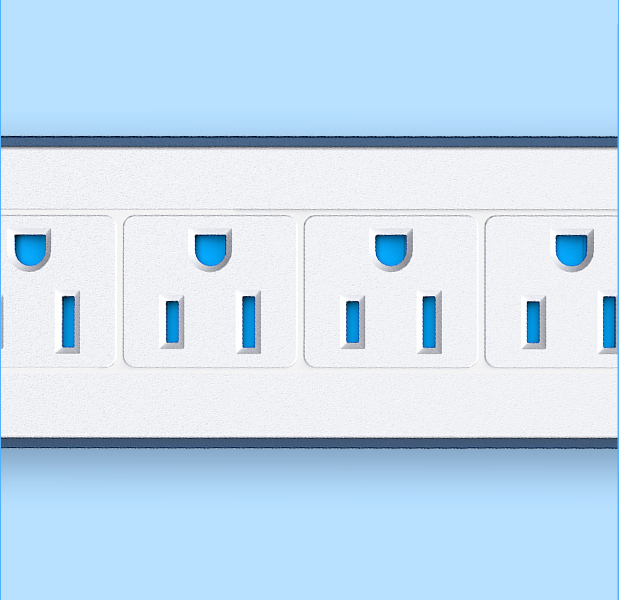 Simple designed for the concise style with 6 AC outlets and 4 USB ports, ideal for home and office and to help build an easier life. 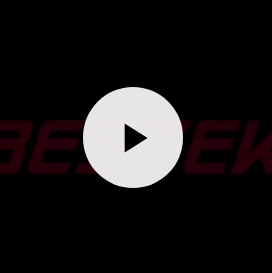 High quality phosphor bronze material ensures high durability and up to 20000 times of insertion and extraction, improves electric conductivity and provide better power conversion. 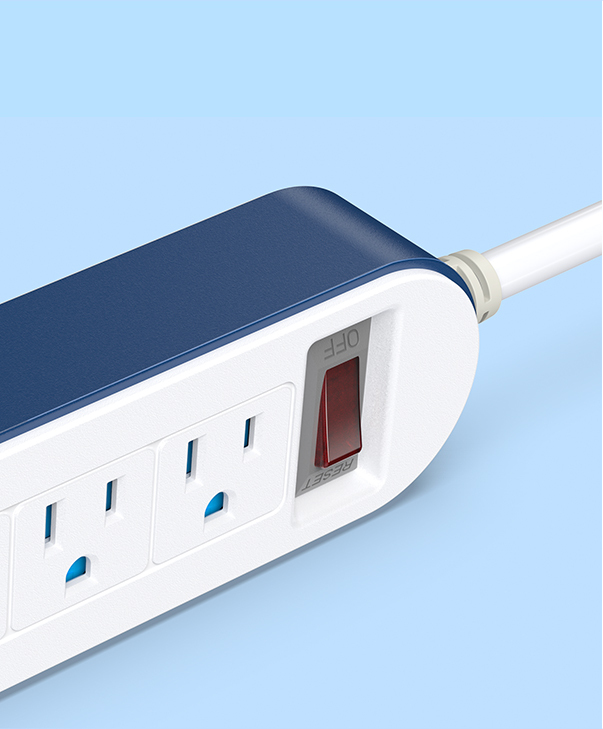 The keyhold slots on the back of the power strip allow you to mount it on the wall or baseboard flexibly. Anti-slip mats can keep the strip stable on desk. 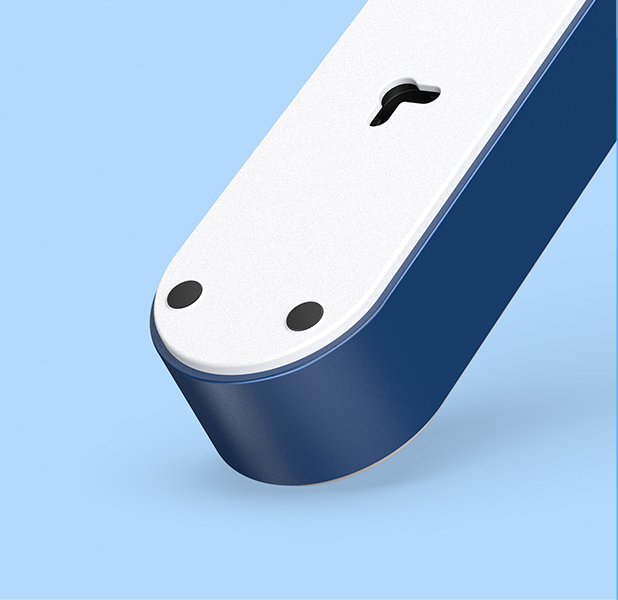 comes with a switch deskgned loose on top, will trip off automatically to protect your devices in the event of power overload and ensure it won't get stuck after long time of use. 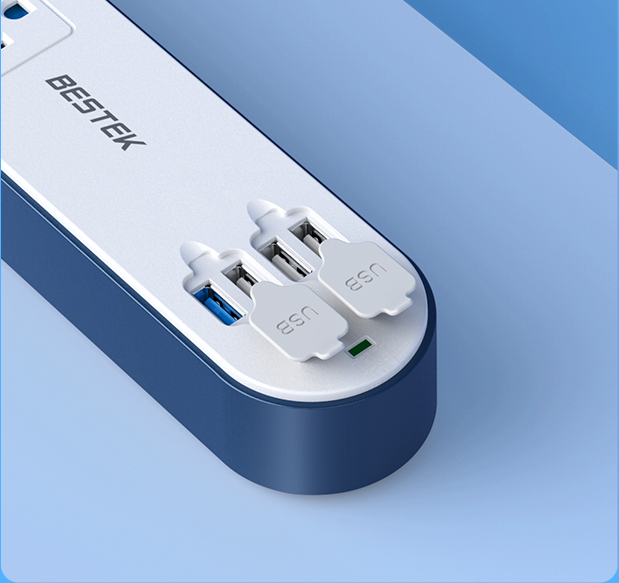 3 smart IC USB ports can detect your device and deliver the optimal charging speed up to 2.4A per port. 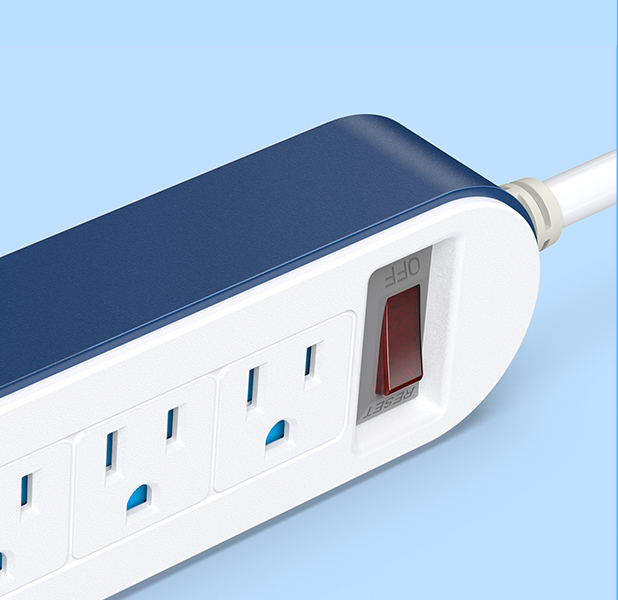 1 Quick Charger 3.0 for you to charge compatible devices up to 75% faster. 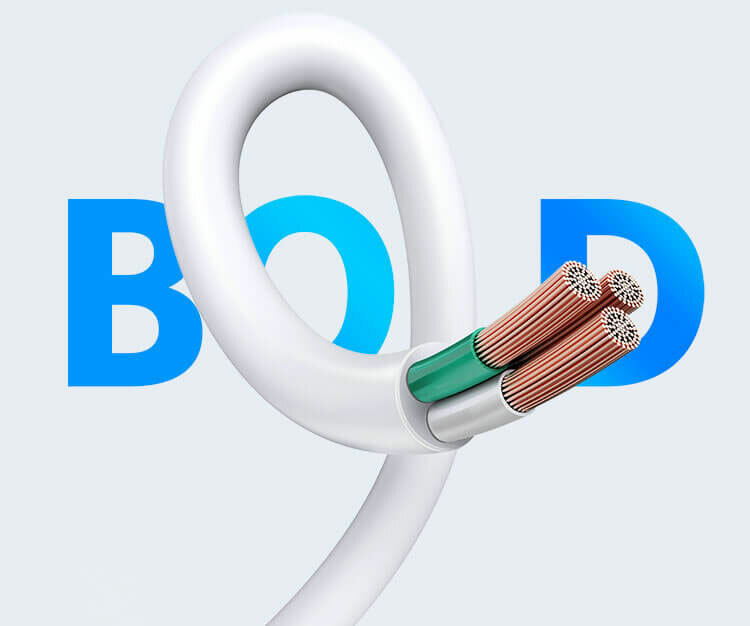 The wire is made of premium copper materials and thickened to 9.5mm overall diameter, ensures you high durability and security from electricity leakage. 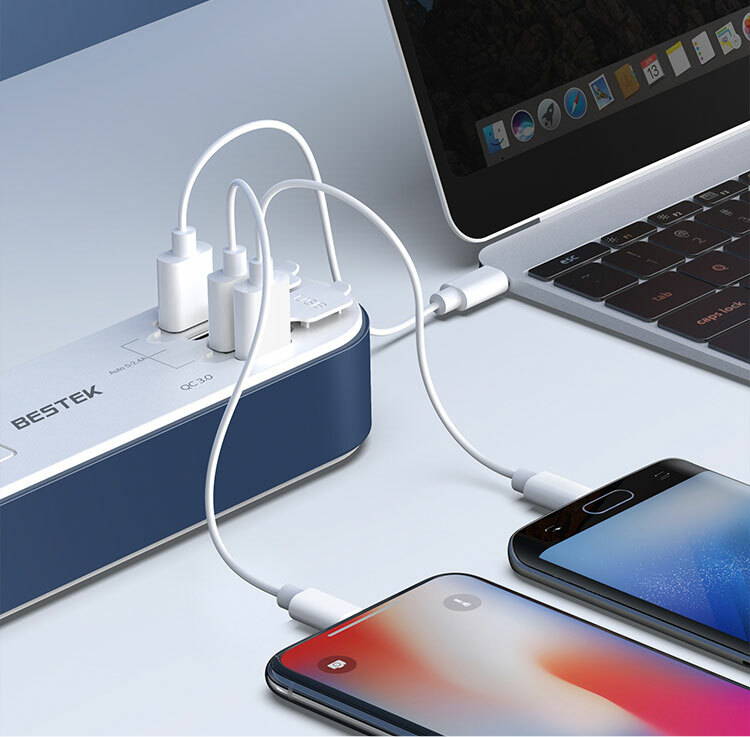 Compatible with devices up to 4 times faster than conventional charging, Also adaptively charge compatible devices up to 80% in just 35 minutes (including Android and ISO Smart devices) with a total safe output of 5V/2.4A/18W. 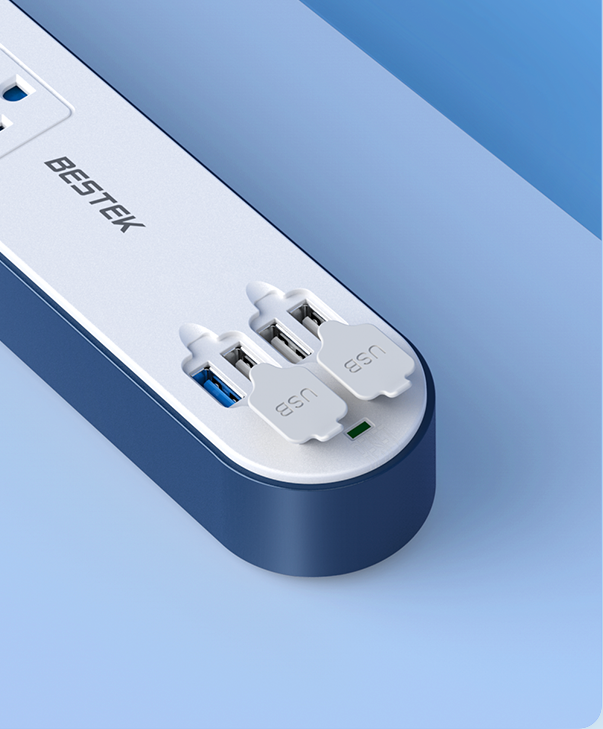 3 USB ports use advanced intelligent identification technology, can auto-detect and self-deliver the optimal current to charging different devices simultaneously with up to 2.4A per port and without any compatibility issues. 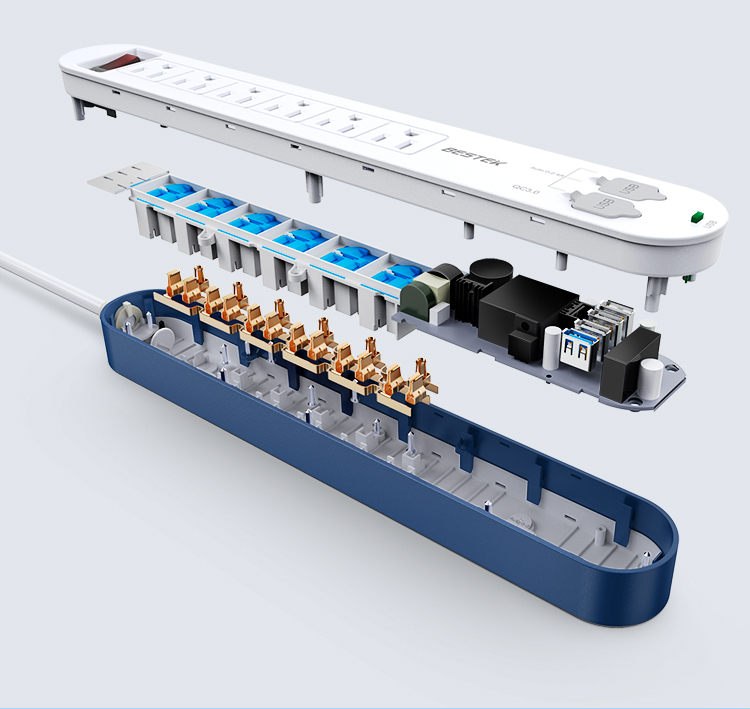 There is a screw on the bakc of the power strip, you can fix it stable on the wall to help save much space. 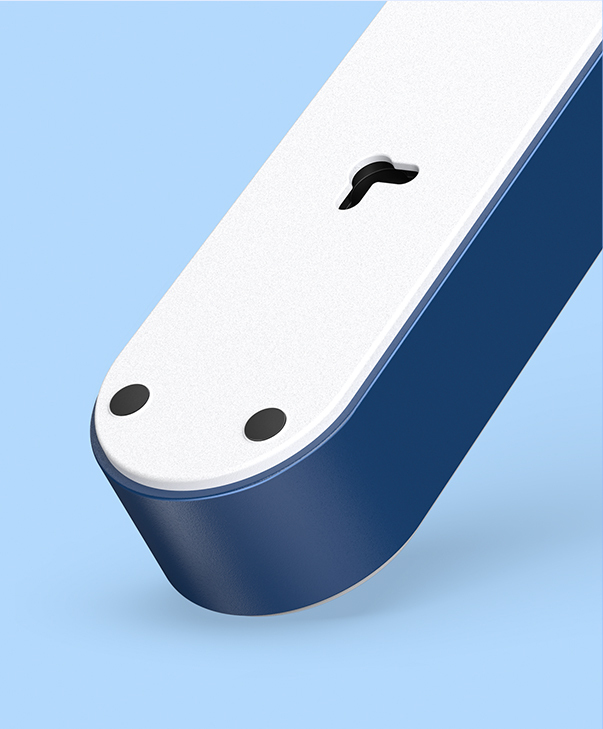 Can this quick charge in iphone 6? How can I tell if a device is compatible with the quick charge function? Yes it can. I use mine to charge my iPhone 6. 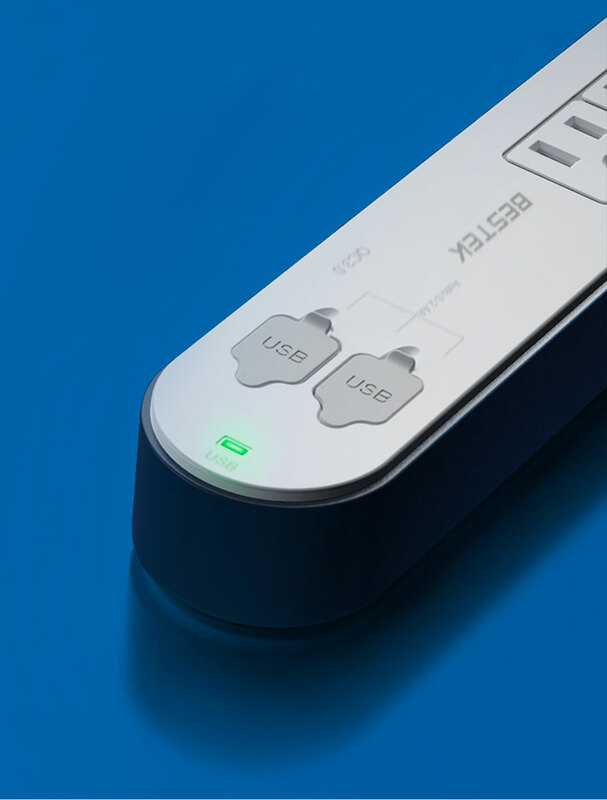 You can tell by looking for Smart charge USB ports or ports that provide 2amps or more to the USB port. 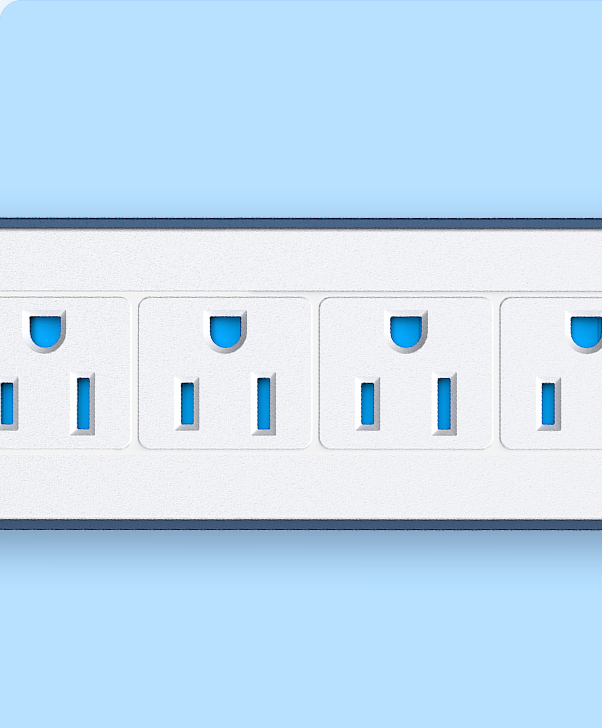 Are the USB charging ports also protected by the surge protector? I have so many devices that need to be charged. I love that it has USB ports. 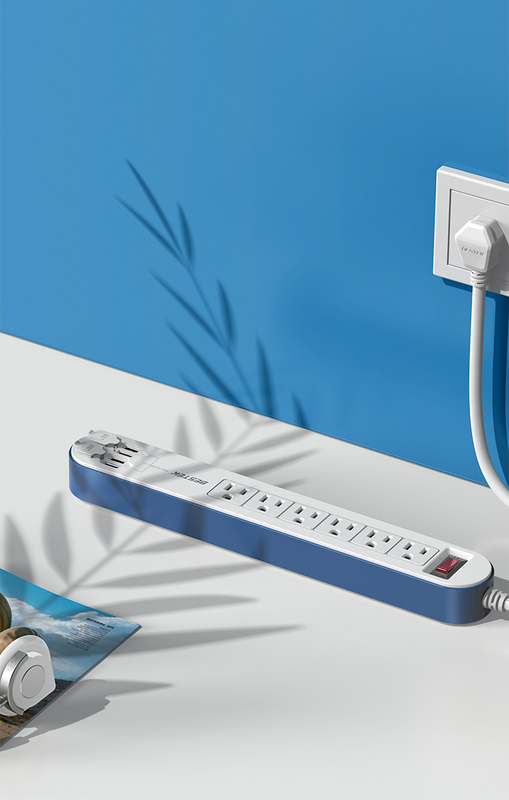 This allows for even more items to be plugged in. Very useful. Nice sleek design and love the long length of the cord. Only thing I wish it had was an automatic shut off when the device no longer protected my devices. It is so fast to recharge my phone with the quick charger when I was going out and realized it died. I am very happy with this item. This is exactly what I needed for my room! A lot of my chargers are bulky and they end up covering at least one additional outlet next to the one that they are plugged into. I love this when I'm about to go to the gym when my ipad is always ready. It has a much thicker power cord and feel much heavier and more solid. This was definitely the better buy. He has been using it now for about 2 months and he taking it to friends houses with him frequently an uses it at home all the time. I highly recommend. 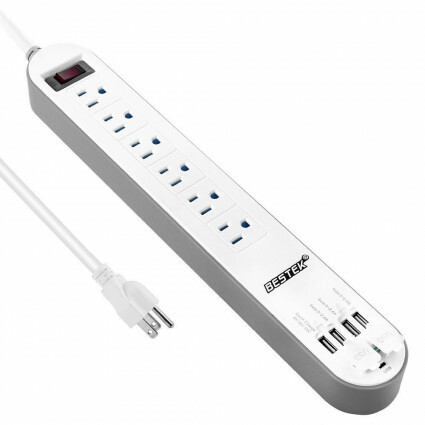 This is a wonderful surge protector powerstrip. 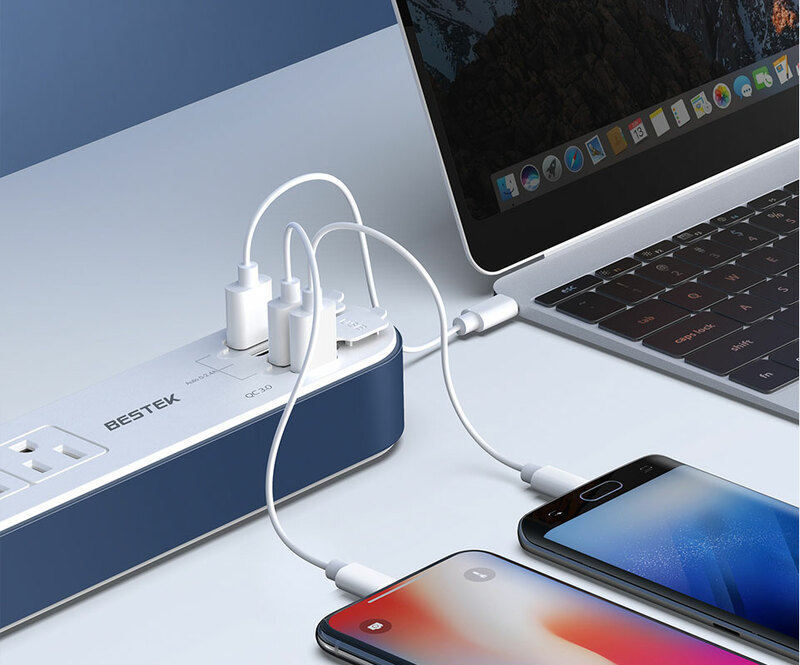 It works great and has a place to plug your cellphone cords in directly to the USB ports without the need for a wall charger including one quick charge USB port for a total of 4 USB ports and six classic three prong plugs. Would buy again. 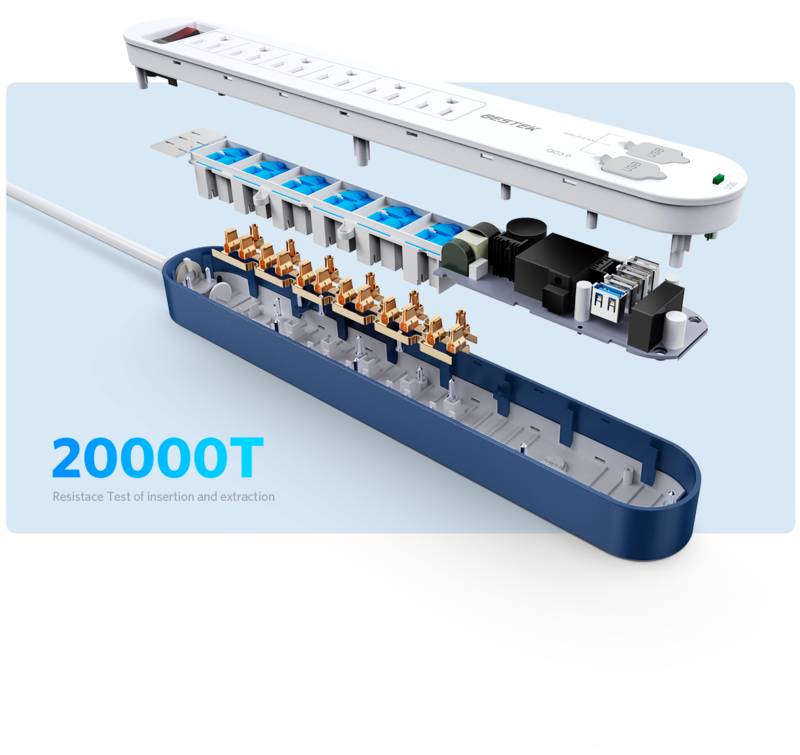 This power strip is one of the few units you can find with 4 fully powered USB ports for Android and high current devices. 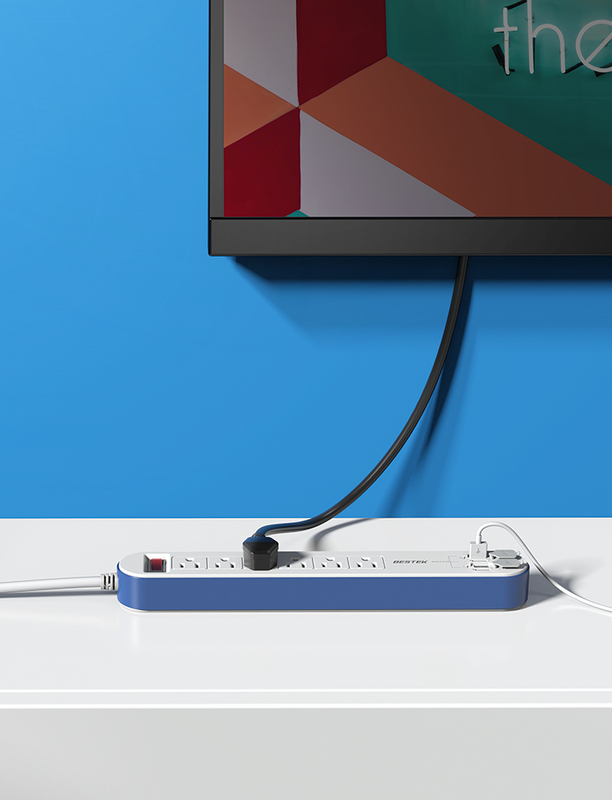 It has 3 2.4 Amp ports that all are powered at once, and 1 Quick Charge 2.0 ports. all the charging stations work as advertised. 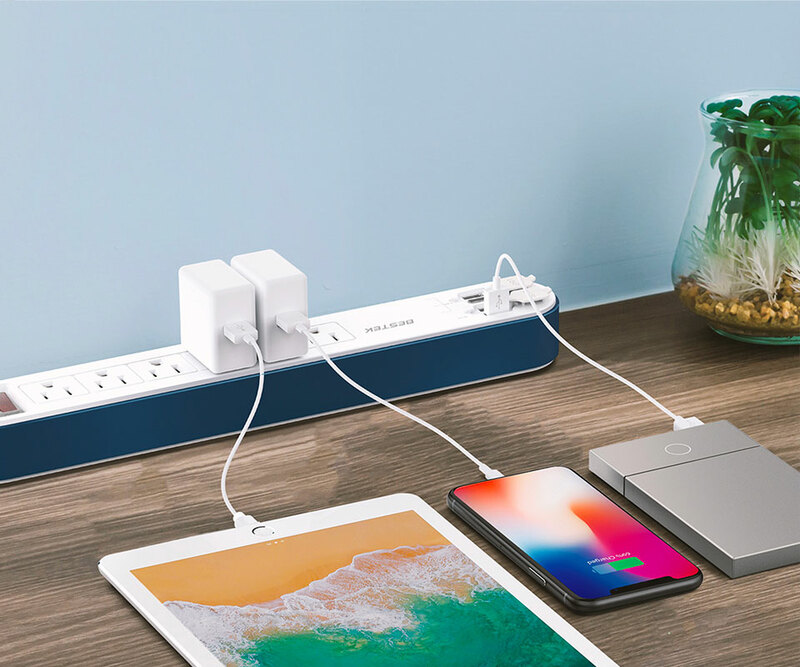 I've had trouble finding multiport USB charging stations capable of actually charging multiple high amp devices. Many just don't quite live upto their own specifications for amp output. This one easily did. Good power charger. Good quality and nice looking. 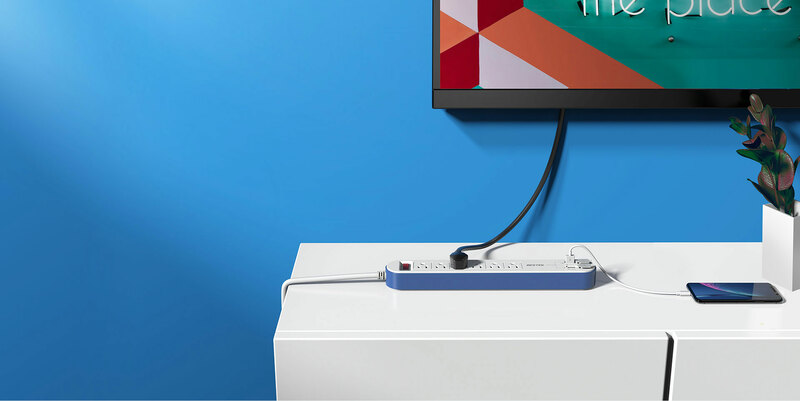 We love the 4 USB on the end and use them all the time, especially the quick charge for our phones. No problems so far.